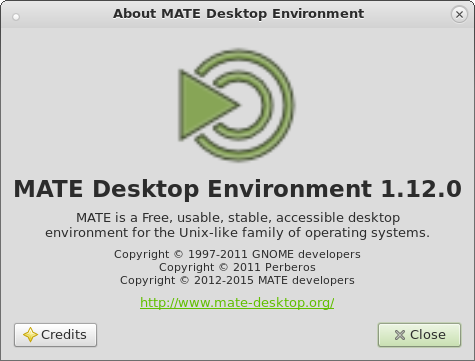 After 5 months of development the MATE Desktop team are proud to announce the release of MATE Desktop 1.12. We’d like to thank every MATE contributor and user. Translations updated and a number of components now retrieve strings directly from gschema (requires intltool 0.50.1). Dropped support for win32 and osx. Add support for GTK3 application indicators. Assorted improvements and refinements for all themes, in particular for GTK 3.18. Add support for libsystemd in addition to existing libsystemd-login support.